There was a two-part documentary on the PBS series “American Experience,” about Walt Disney last year. Fascinating! As a Southern California baby boomer, who more or less grew up at Disneyland, I was riveted to the man in his early years, a history that’s not common knowledge. The image of Disney in my childhood was of a serious, grandfatherly and later, rigidly conservative type. But as a young man he was energetic and fun-loving – always smiling and goofing around (no pun) for the camera. The most prominent facet of the man was his pursuit of cutting-edge – and expensive — technology. 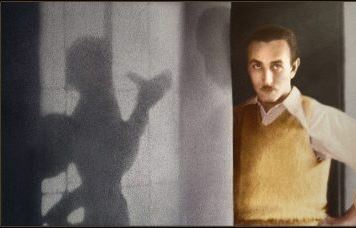 His innovations were “First in sound technique, color, and multi-plane camera technology which produced a three-dimensional depth never before seen in animation.” He frequently boxed himself in financially by spending over budget on his projects, including the making of Snow White, a wildly successful film. 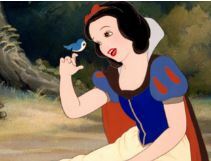 But Disney, who considered himself an artist, was grievously insulted after the success of Snow White. The other major film producers refused to acknowledge animation as serious cinema. The Academy did not include the film in the category of Best Picture of 1938. Nevertheless, Disney achieved more Oscars than any other movie producer in history. And he received his coveted Best Picture Oscar with the 1964 pic Mary Poppins (which is not anywhere near my favorite Disney film). When my brother and I were very young, our father bought each of us one share of Disney stock to stimulate interest in investing. (If I still had that share that split over and over again, I could probably retire! Although after his death, the stock was in a malaise for over a decade until new CEO Michael Eisner restored the magic in 1984.) We used to go to the annual shareholders’ meeting when it was held at the sprawling headquarters in Burbank, California. Walt’s brother, Roy, as CFO, attended each year, but there was always someone who would angrily complain that the “big cheese” was never there. Well, the documentary explained why – he didn’t care about the shareholders. He let Roy “keep it all together financially.” He was too busy manifesting his dreams. The primary reason he didn’t pander to his investors was because he was forced to go public. His previous projects were consistently over budget, and he lost the trust of his financiers at Bank of America. He would scare the pants off ‘em. They’d had enough. Another aspect of his character? He was driven. He would work and stress himself to near exhaustion. Then his doctor would prescribe a vacation. During a trip to South America, he was treated as royalty wherever he went. One of Disney’s first failures was the lack of ownership of his first cartoon character, Oswald the Rabbit. After reorganizing his team, they brainstormed a new character and came up with, first choice: Mortimer and final choice: Mickey Mouse, suggested by his wife. Disney had the brilliant idea to create this animated film with synchronized sound – it had not been done before. It was a technically precise and expensive experiment. But lo and behold — out came “Steamboat Willie.” Finding a distributor was next to impossible, though. After weeks of hearing “Not interested,” he conjured a showing at the Colony Theatre on Broadway and 53rd on November 18, 1928. The audience was enthralled – several in the crowd asked the projectionist to run it again before the featured movie. Mickey Mouse became an instant success and “the newest Hollywood celebrity.” Disney then landed an attorney who specialized in licensing law. The Mickey Mouse merchandise brought in a new and lucrative source of revenue — not to mention a million kids joining the Mickey Mouse Club — before Disney turned 30. He reached a low point with the release of “Song of the South” in 1946 in which he received much criticism, including from the NAACP, for the stereotypical southern plantation portrayal. Joel Chandler Harris, who played Uncle Remus, was not allowed at the premier held in Atlanta, Georgia due to Jim Crow laws. Disney didn’t get it. He blamed the “commies” for the negative reactions. The next year he was a cooperative witness at the House Un-American Activities Committee that was targeting labor leaders to snuff out union strikes at the time. 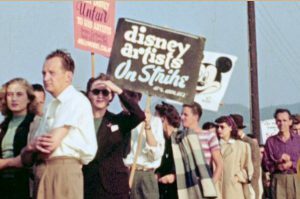 He pointed the finger at the leader of the Conference of Studio Unions, Herbert Sorrell, a former Disney artist who organized the first strike against the Walt Disney Studios in 1941, as a communist. It should be noted that he drove his artists hard and gave them few, if any, praises, until his health was failing when he told them “You’ve done a good job.” They’d never heard him utter that before. Disney was also dogged about presenting the image of his empire as squeaky-clean. He wouldn’t allow his actors to smoke or drink in public, which caused a public rebellion by Haley Mills, the lead in “Pollyanna,” as she grew into adulthood. Ironically, he smoked like a chimney, another aspect of his life that was not common knowledge outside of the studio gates. In the late 1960s and early ‘70s, hundreds of baby boomers, whom had been the major component of Disneyland’s runaway success, were not allowed admittance because their hair was too long. To the contrary in the 1980s, the child actors of the “Mickey Mouse Club” television series brought diversity to the brand under Eisner’s stewardship (who also created Touchstone Pictures for showing Disney movies not rated “G”). During the showing of a not-yet-released Disney film during a stockholders’ meeting that I attended as a boy, my dad took a cigarette break out front of the auditorium. Walt walked out of the building across the way. Dad didn’t ask for his autograph because he “looked so tired.” My dad gave him a wave, and Disney waved back with a smile. Soon after, Disney passed at age 65. I read the front page story in the “San Diego Union” the next day. It spoke to the cause of death as being some rare condition. For decades this was a mystery to me. Come to find out, his “spin doctors” were successful in maintaining his “Disney image,” even at his death, by suppressing the truth — he had died of cigarette-induced lung cancer.